By MadJik, June 20, 2007 in Plugins - Publishing ONLY! Hi, this is a really cool plugin. It seems to me that it would be one of the most handy plugins available IMO. I was wondering though it it was possible for it to do the following (And maybe there's a setting that I'm missing). 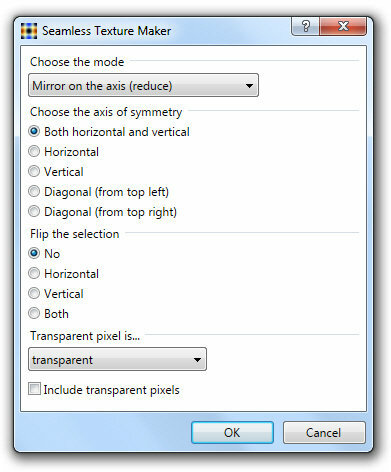 1) Have it expand the canvas size when it mirrors things. If it's 20 X 20, it would then be 40 X 40. 2) Is it possible to perform a half drop with this plugin? This would be TREMENDOUSLY helpful. I don't know if everyone knows what a half drop is, but it can be looked at like a 5 domino, where each dot is an image. Thanks Again for a really cool plugin (Among others). Hi, I downloaded and installed the .dll file a few days ago but each time i try to use it, i get this error message. can anybody help? I'll also shown my installed files in my next post. I'm running Windows 7 Pro, SP1. Thanks. Copy and paste the error details into a post (see the button in your screenshot?) That way we can trace the likely cause of the problem. 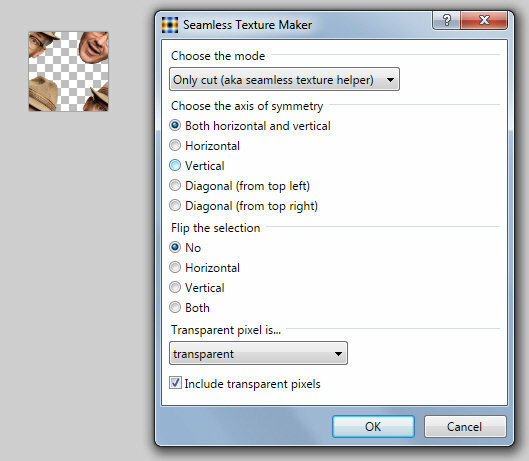 I do a lot of tile, fabric and pattern design and I use the Seamless Texture Maker a lot for years. Full error message: System.TypeLoadException: Could not load type 'PaintDotNet.IndirectUI.WindowHelpContentType' from assembly 'PaintDotNet.Core, Version=4.5.5454.39504, Culture=neutral, PublicKeyToken=null'. 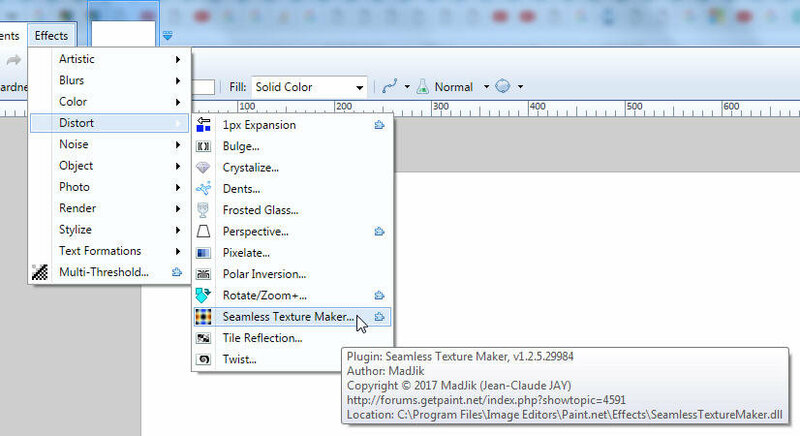 It appears that your version of Paint.NET is outdated, the plugin requires Paint.NET 4.0.6 or later. Thanks null54, i'm just downloading the latest version (4.1.5) and installing it. Now working. Thanks very much for your help. Merry Xmas! When i use it twice, it reverts to the original image! Please can you tell me the settings you use for each transition? And do you have to start with a square image? I'm trying to make a tiling seamless image of the one attached. I can get it to be seamless but how do you tile it?